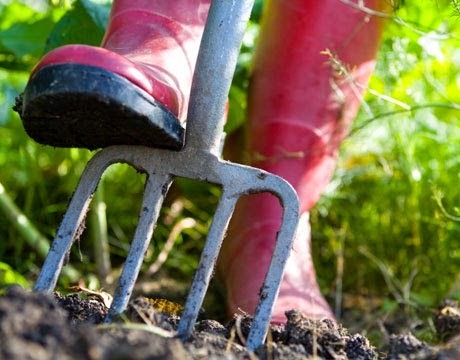 In order to get the best results with your new organic garden, you’ll want to make sure the soil is properly conditioned. You have to eat, and so do plants, so make sure your veggies get lots of fresh nutrients. Good healthy soil helps build up strong, productive plants. Chemical soil treatments can not only seep into your food, but they can also harm the beneficial bacteria, worms and other microbes in the soil. The best way to gauge the quality of your soil is to get it tested. You can get a home testing kit, or better, send a sample to your local agricultural extension office. For a modest fee you’ll get a complete breakdown of pH and nutrient levels, as well as treatment recommendations (be sure to tell them you’re going organic). That way you can tailor your gardening program. Typically, it’s best to test in the fall, and apply any organic nutrients before winter. Even if you don’t have time for testing, you’ll want to make sure your soil has plenty of humus — the organic matter, not the similarly named Mediterranean spread. 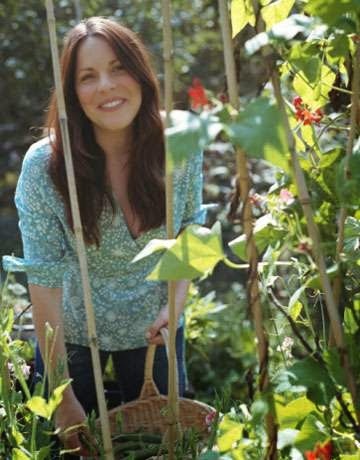 According to 1000 Gardening Questions & Answers, you’ll want to mix in compost, leaf and grass clippings and manure. Manure should be composted, unless you aren’t going to harvest or plant anything for two months after application. Preferably, get your manure from local livestock that have been organically and humanely raised — and never use manure from animals that eat meat. All gardens benefit from compost — and preferably you can make your own on site. Hey, it’s free! Compost feeds plants, helps conserve water, cuts down on weeds, and keeps food and yard waste out of landfills (where it produces methane), instead turning garbage into “black gold.” Spread compost around plants, mix with potting soil, use to bolster struggling plants…it’s hard to use too much! The best compost forms from the right ratio of nitrogen- and carbon-rich organic waste, mixed with soil, water and air. It might sound like complicated chemistry, but don’t worry too much if you don’t have time to make perfect compost. Even a minimally tended pile will still yield decent results. 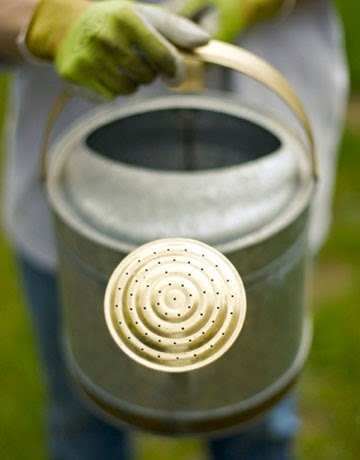 Add alternating layers of carbon (or brown) material — leaves and garden trimmings — and nitrogen (or green) material — such as kitchen scraps and manure, with a thin layer of soil in between. Top off the pile with four to six inches of soil. Turn the pile as new layers are added and water to keep (barely) moist, in order to foster microbe action. 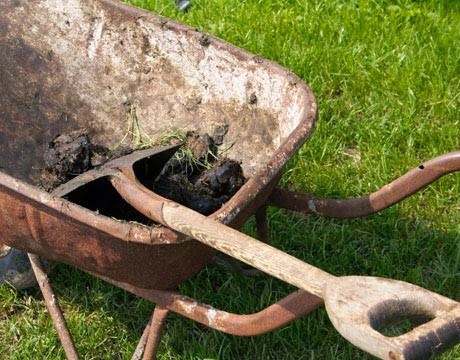 You should get good compost in as little as two months (longer if it’s cold). 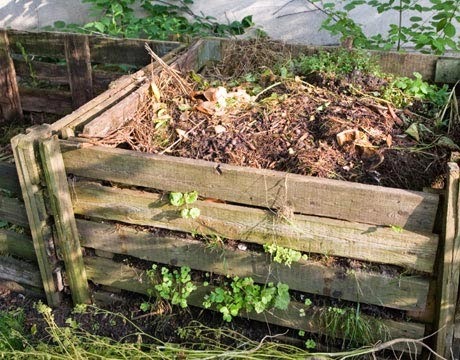 A properly maintained compost pile shouldn’t smell. But if it does add more dry carbon material (leaves, straw, or sawdust) and turn it more frequently. It really pays to select plants that will thrive in your specific micro-conditions. As a general guide don’t forget to check the USDA’s Hardiness Zones (which have recently been updated by the National Arbor Day Foundation due to climate change). Choose plants that will be well adjusted to each spot, in terms of light, moisture, drainage and soil quality. Most gardens have gradations in these variables. The happier your plants are, the more resistant they’ll be to attackers. 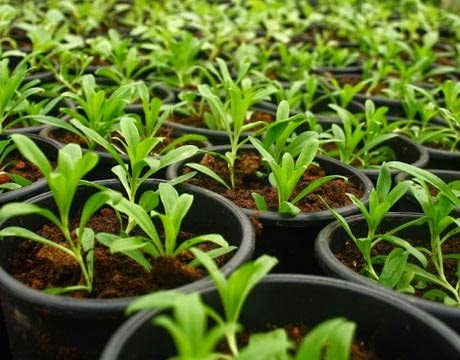 If you’re buying seedlings, look for plants raised without chemical fertilizers and pesticides. A great place to look is at your local farmers’ market, which may also have native plants and varieties well suited to your area. It’s better to buy stocky seedlings with few, if any blooms yet, and with roots that don’t look overcrowded. 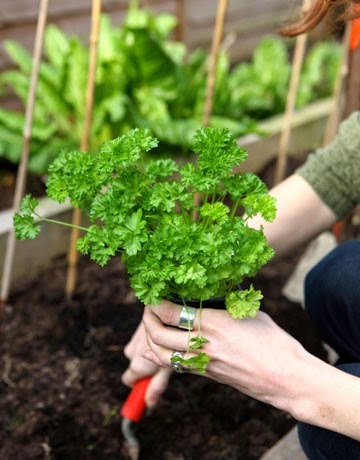 Plants that you will be harvesting, such as vegetables or cutting flowers, should be grouped tightly in beds that you don’t walk on (raised beds work great). Grouping reduces weeding and water waste, and helps you target compost and nutrients. Easier path maintenance helps lead to healthy soil. Ample space between rows helps promote air circulation, which repels fungal attacks. Remember that seedlings won’t always stay diminutive, and you do want to try to limit over shadowing. It’s a good idea to thin crops based on nursery suggestions. 2. Non-Hybrid (Old-Fashioned) Pole Beans. They keep growing and producing ’til frost — assuming you keep them picked. Ah weeding. Even if you live in the Biosphere, you’ll still get weeds, since their tiny seeds are pervasive. Pulling weeds by hand may sound like hard work — and it can be — but it also can be good exercise, and gets you outside in the fresh air. You don’t want to pour toxic chemicals on your food, or where your children and pets play, right? 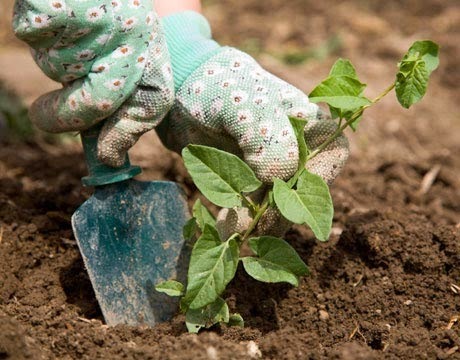 Reduce the number of weeds you have to contend with by applying mulch (which also helps protect the soil). According to Leslie Land, organic mulch that will rot down into the soil is almost always preferable to landscape fabric, although burlap and other materials can work in a pinch. Straw is cheap but doesn’t last long. Wood chips are nice, but can get pricey. 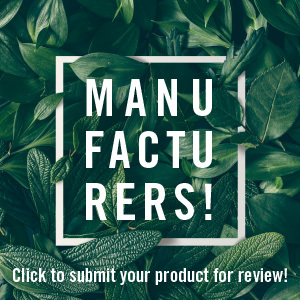 Many people opt to use lawn clippings, although it should be noted that because they are high in nitrogen, clippings should only be used on plants that need a lot of the nutrient, such as squash and lettuce. If you get tired of weeding or aren’t able to bend over, consider hiring some neighborhood kids. It’s a good way to get to know others in your community. Remember too that raised beds can be made wheelchair accessible, and others can take advantage of wheeled stools, arthritis-friendly gardening tools and other equipment. It’s a good thing to foster natural predators in your garden, such as frogs, toads, lizards, birds, and even bats. 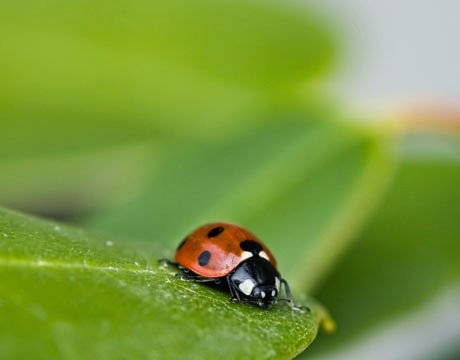 Beneficial insects can be your best friends, especially lady bugs (many nurseries even sell cans of them, though it’s true there’s a high probability they won’t stick around). Leave a small source of water out to attract friendly predators. It’s also a good idea to grow plants with small blossoms, such as sweet alyssum and dill, which attract predatory insects. Nets and row covers can also work. Don’t forget to harvest the fruits of your labor! Fresh organic produce also makes great gifts, educating your friends, neighbors and coworkers. Generally, the more you harvest, the more your plants will produce for you. 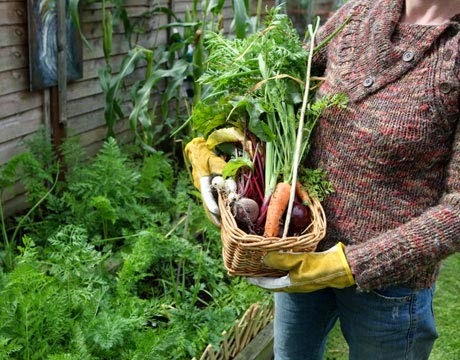 During peak harvest season, you’ll likely find that it’s best to check your garden every day. Got herbs? If you use them fresh pick them right before you need them. But if you’ll be drying and storing them, it’s best to wait until just before they flower, since they’ll have the most flavor. Gather all herbs except basil in mid morning, shortly after dew has dried. Harvest basil in the late afternoon, since it will last longer after some time in the sun. It’s best not to wash herbs before you dry or use them, since that can leach flaor (extra incentive for growing organic!). When harvesting leafy greens pick sporadically from the entire crop, a little from each plant. For broccoli, wait until the central head is as large as it will get, before sending off buds for flowering. Cut it off right above the leaf node, and you’ll likely get better production from the rest of the plant. In general, it’s best to cut produce off with a sharp knife or scissors, versus ripping with your fingers, which can cause more damage to plant tissue. If you have sick plants to remove, either during the season or at the end of the year, make sure you pull up the entire organism. Don’t forget to rake up underneath, since diseased leaves can harbor problems for a long time. Put all infected material deep in the woods, in the ground at least a foot deep, or on the bonfire. Most healthy or expired plants can actually be left in place over winter. You’ll provide some food and habitat for birds and other wildlife, and plant cover can help protect your soil from eroding. It’s better to chop off annuals then yank them out, because that way you’ll leave soil intact, and help prevent weeds from gaining a foothold.